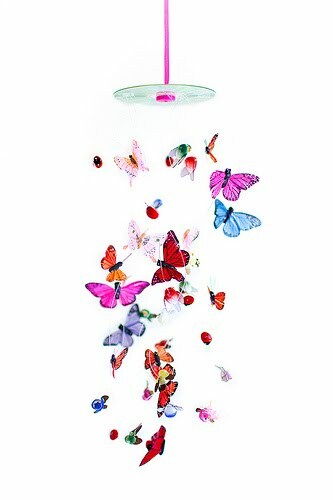 A few weeks ago, I almost bought a white paper butterfly mobile to hang in the window. I am so glad I didn't though, because look what Katie made one morning with things she found lying around her house. A crazy colorful explosion of butterflies, ladybugs and birds! Awestruck over here. And inspired, obviously.